How does “authenticity” manifest itself in our experience of place? Adventure Partners is always seeking out stories which resonate with our guests, who connect with a destination by strolling across 150 million year old Entrada Sandstone or summoning the courage to cross a suspension bridge high above the desert floor. A powerful narrative can have unexpected origins- evoking a time from our shared past or echo back to our childhood. We recently embraced such a story whose beginnings start with World War II. 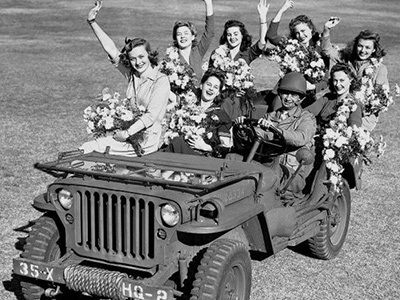 The post-war baby boomer generation grew up around the legendary jeep. 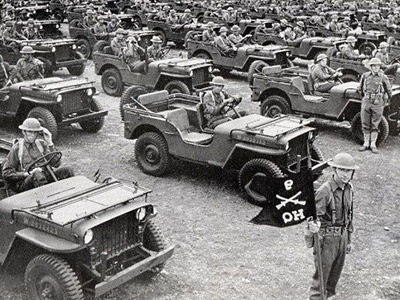 There were rumors you could buy an army surplus “jeep in a box” for 50 bucks, packed in grease and ready to go. In the 1950’s this storied war horse leapt onto a new popular medium, and was forever bound to the western landscape. One of the most memorable characters on the Roy Rogers TV show (1951-1957) wasn’t Roy, Dale, Trigger, Buttermilk or even Bullet; it was a TV icon manufactured from good old American steel, named Nellybelle, a 1946 Willys CJ-2A Jeep. She was in fact owned by Roy, but was driven in the show by his comic sidekick, Pat Brady (1914-1972). In 2010 the temperamental Nellybelle was auctioned by Christie’s for six figures to a private museum. The modern-day SUV owes much of its mass market appeal to a Willy’s pedigree- hand built, individualist and “go-anywhere”. This deep cultural connection was the motivating force behind Adventure Partners’ recent purchase of a fully restored 1948 Willys-Overland CJ 2A Jeep for tours at Amangiri. It’s a piece of living history, a “time machine”- infusing the scenery with feelings of a simpler day, a slower pace and the old west of our imagination. 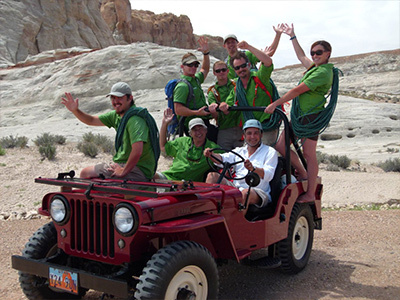 The jeep puts a smile on our guests’ faces and creates a lasting memory of their stay in an iconic destination. In the search for authenticity, it turns out the little jeep is larger than life. And the going got too steep. 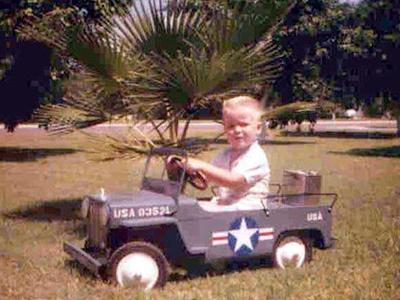 Was the mighty little Jeep. I won’t forget the Jeep. And now the war is over. That’s my buddy, Willy Jeep.